Shoulder dystocia is an obstetrical complication that results in thousands of injuries each year in the United States. This injury usually occurs in the delivery room during the birth of the baby, when one or both of the baby’s shoulders become stuck after her head has been delivered. 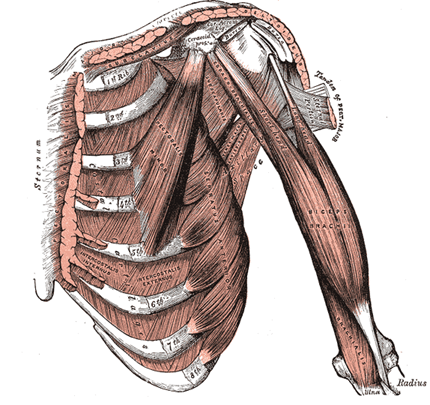 Injury is caused when the infant’s anterior shoulder becomes caught on the mother’s pubic bone. If not properly diagnosed and managed within minutes by an experienced obstetrician, shoulder dystocia can lead to a lifetime of catastrophic injuries – including brain injuries, cerebral palsy and brachial plexus palsies. The brachial plexus is a complex network of nerves that connects the spinal cord to the arms, shoulders and hands. This system of nerves allows the brain to transmit messages that we use thousands of times each day for routine tasks performed by our arms and hands. When a shoulder dystocia injury occurs, this network of nerves becomes compressed, and this damage often results in permanent nerve damage. Tragically, the functional results of this nerve damage are severe neurologic injury, including paralysis, loss of strength, or loss of muscle control in the arm, wrist hand. Other symptoms include a total or partial loss feeling or sensation in the arm, wrist or hand. Brachial plexus palsies (often referred to as “Erb’s palsy”) are among the most common forms of should dystocia injuries. Complications arising from shoulder dystocia during the birth process can affect both the mother and the baby. Nothing is more exciting for a family than the birth of a child. Daughter or son, brother or sister – the anticipation involves hopes and dreams for a bright future. But, in many cases, birth complications result in catastrophic injuries. At Clark, Perdue & List, we have a proven track record helping families who have suffered personal injury, and helping them to manage the legal and financial ramifications of unexpected events. Your family needs information, and guidance on what the long term ramifications of shoulder dystocia or the birth injury will be. Provision will need to be made for the care and treatment of your child’s needs. For more information or to schedule an appointment with an experienced attorney regarding a birth injury or shoulder dystocia, please call 800-647-7003 or contact us via email.